Studies of animal behavior have often been invoked to help explain and even guide human behavior. Think of Pavlov and his dogs or Goodall and her chimps. But, as these examples indicate, the tendency has been to focus on "higher," more cognitively developed, and thus, it is thought, more intelligent creatures than mindless, robotic insects. Not so! Learn here how honeybees work together to form a collective intelligence and even how they make decisions democratically. The wizzzzdom of crowds indeed! 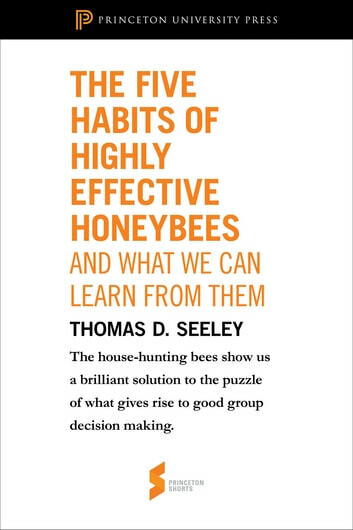 Here are five habits of effective groups that we can learn from these clever honeybees. Princeton Shorts are brief selections excerpted from influential Princeton University Press publications produced exclusively in eBook format. They are selected with the firm belief that while the original work remains an important and enduring product, sometimes we can all benefit from a quick take on a topic worthy of a longer book. In a world where every second counts, how better to stay up-to speed on current events and digest the kernels of wisdom found in the great works of the past? Princeton Shorts enables you to be an instant expert in a world where information is everywhere but quality is at a premium. 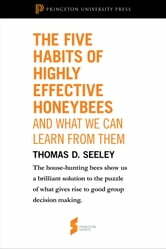 The Five Habits of Highly Effective Honeybees (and What We Can Learn from Them) does just that.